We recently named our top 10 grand tourers, with the Ferrari 812 Superfast, Rolls-Royce Wraith and Aston Martin DB11 taking the medals, in that order. Call me old-fashioned, but while that's a fantastic trio of cruise-missile-speed-capable cruisers, the offerings in the class from 43 years ago appeal to me far more, both in terms of looks and driving experience. 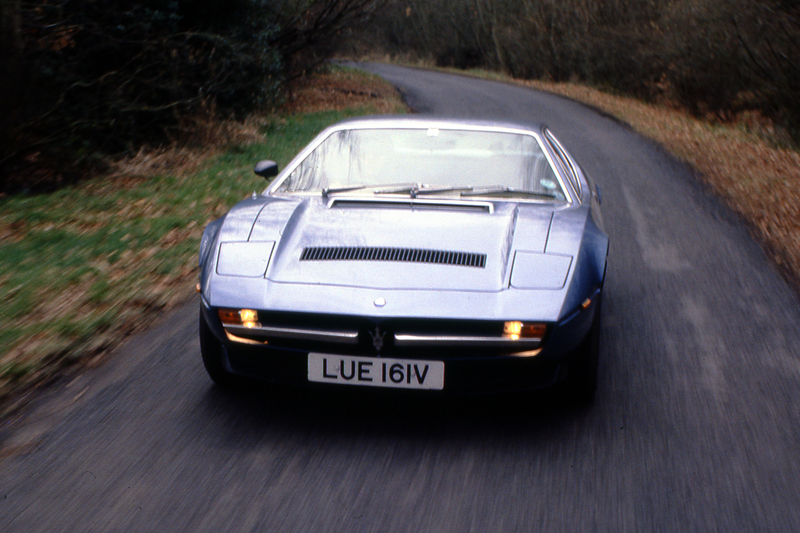 Back then, Europe was blessed with the Lamborghini Urraco S, Ferrari Dino 308 GT4, Porsche 911S, De Tomaso Pantera, BMW 3.0CSi and the car we're viewing in retrospect today, the fantastic Maserati Merak. This Giugiaro-designed car, which Autocar described on 4 January 1975 as "outstandingly good-looking", was the lesser sibling to the prettier-still Bora supercar. While the two were both 14ft 2in long and 5ft 10in wide, the Merak had less power and two extra seats. Like the Bora, the Merak was mid-engined, but with a 3.0-litre V6 rather than that car's 4.7-litre or 4.9-litre V8, with power being sent to the rear wheels through a five-speed manual gearbox. The engine was essentially a bored-out version of the 2.7-litre V6 fitted to the Citroën SM and produced 190bhp and 188lb ft. 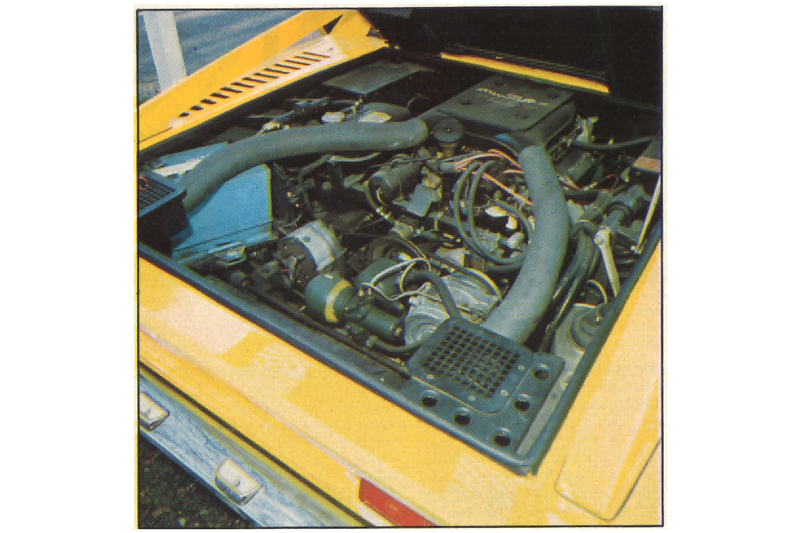 This shorter engine allowed for two extra seats in the rear, of which we said: "Considering that the Merak retains an in-line arrangement for the engine, the provision of as much room inside as the Urraco or Dino 308 GT4 is laudable, because both the latter cars use the more compact, but expensive, transverse layout to arrive at adequate space inside." Other capabilities that the Merak had in common, we said, were "a top speed of more than 130mph, a standing start time to 100mph of close to 20sec and the ability to cruise comfortably at two miles per minute". Although doing the latter would have pushed fuel economy down to around 19mpg, that was no worse than what could be expected of any of the Merak's contemporaries, save for the fuel-injected 911S. 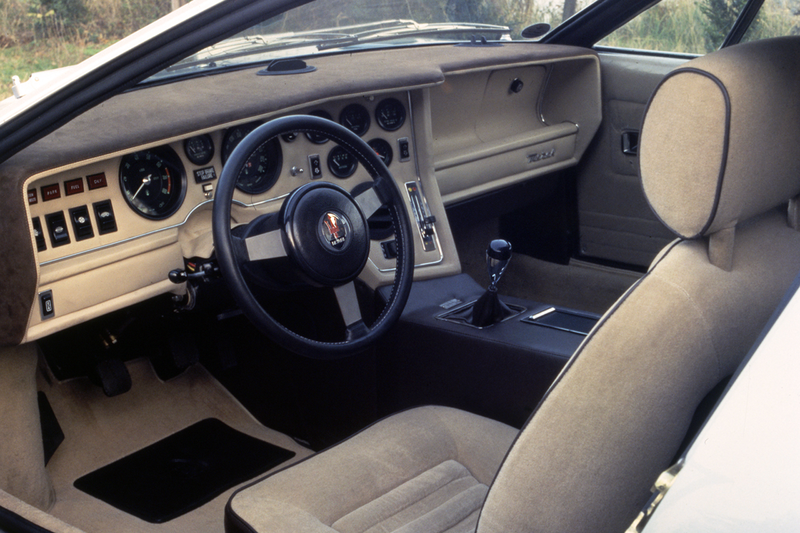 The Merak was priced at £7821, placing it above the 3.0CSi (£7657) and 911S (£7497), while the Dino 308 GT4 and Urraco S demanded £8340 and £9368 respectively. Upon hopping into the Merak, we found that "although the rear tyres are of generous width, the powerful clutch, suitable gearing and adequate power enables the rear wheels to be spun easily from a standing start". We continued: "The car sprints to 30mph in 2.7sec before second gear is taken on 6600rpm on the big, easily read rev counter. To 40mph takes 4.2sec and 50mph comes up in 6.0sec before the change up to third gear at 53mph. It takes 27.7sec to reach 110mph and 38.0sec to get to 120mph, all well within a mile." 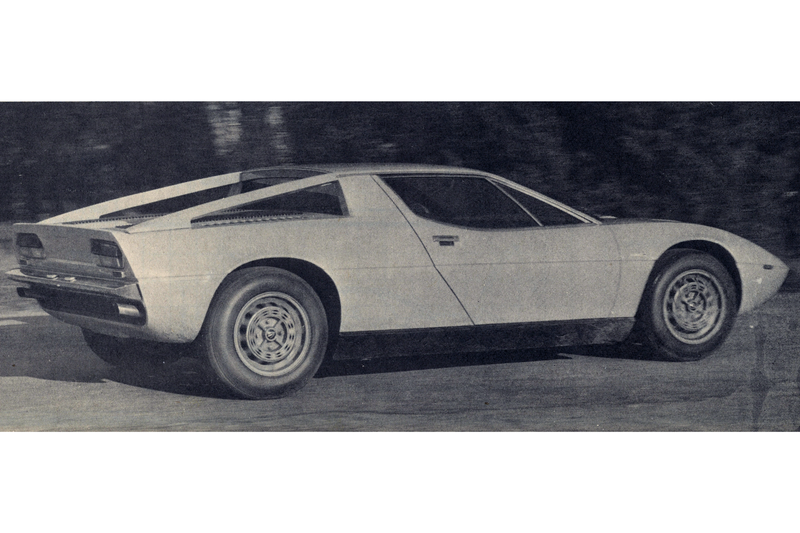 These times compared favourably with rival cars and were "similar to those of the Urraco S, which is lighter, lower-geared and nominally more powerful". The Merak's acceleration was very tractable, too, making it a "relaxing car on long cross-country journeys, where only third and fourth gears need be used most of the time, with top gear kept as an overdrive to maintain speeds over 100mph in relaxed comfort". As a grand tourer, road noise on the move was an important factor, and we found it to be "perfectly acceptable and, indeed, the exhaust note of the four-cam V6 at high revs will gladden the heart of any enthusiast". In addition, suppression of wind noise was "particularly good". With fuel economy during our time with the Merak somewhere between 22.9 and 12.0mpg, a range of 350 miles seemed realistic. The Merak's brakes used a pressurised hydraulic system similar to that on the SM, meaning the brake pedal "needed very little movement". However, the system "made no allowance for the car's firm suspension", making it "difficult to bring the speed down progressively and comfortably on indifferent roads, because one is forever being joggled about in the car, varying the pressure on the brake pedal and thus upsetting the desired braking level". This set-up also made it difficult to properly heel-and-toe – something that we considered "an unfortunate shortcoming on a sports car". The brakes were, at least, very resistant to fade, although we found the right-left balance to be somewhat off and, even more worryingly, the handbrake to be illegally ineffective. We continued: "In character with the sports car performance given by the willing and responsive Maserati engine, the ride is more 'sporting' than 'saloon car'. Despite a wide track and low centre of gravity, the opportuinty has not been taken to soften the ride without serious loss of roll stiffness. "The result is a flat, firm ride that copes well with most road conditions and shows a marked reluctance to be thrown off-line by undulations or irregularities in the road surface. "At high speed, the ride remains controlled, with little tendency to pitch and reassuring natural stability, and the car is unaffected to any marked extent by crosswinds." It wasn't all fine and dandy, though. We wrote: "The limited wheel movement dictated by the limited wing clearance occasionally catches the car out and, on several occasions, the front underside grounded badly. "There is a lack of castor return action around the straight-ahead position that makes the car 'nervous' if there is appreciable camber change in the road. The lack of castor assistance means that a fairly firm grip needs to be kept on the wheel; if 'hands off' is tried, the car darts around." Back on more positive territory, though: "The roadholding is of a very high standard indeed and it is most unlikely under normal road conditions that the limits of adhesion will be reached. "Initially, the car understeers slightly but is as close to neutral as one would like while retaining good feel. As the speed builds up, the degree of understeer slowly increases. "The steering is light and very direct at all speeds." In terms of comfort and practicality, the Merak scored very highly, although there were still a few complaints to be made. "Being so low," we said, "access could be a problem, but the doors are both long and deep, reaching right up to the rooftop, and one only has difficulty getting into the car when it's parked next to a high kerb. "Regrettably, there is still something of the traditional Italian 'monkey on a stick' about the driving position, for even with the steering extended towards the driver as far as possible, the wheel is still at a full arm's stretch when one's feet are comfortable with the pedals. "The seats provide good lumbar and knee support and the pronounced side rolls at the edges of the seat backs ensure good lateral support. "In the back, the space is only limited in knee room and the front seats need to be a long way forward to allow space for two adults. "In the front of the Merak is a deep carpeted luggage space that is generous for cars of this type. It can swallow a full-size suitcase with space for smaller bags and grips on top, giving the Merak an advantage over its rivals in an area that is often overlooked." We concluded on the Modenese marvel by saying: "In so many ways, the Merak is a worthy competitor in the 'cut-price exotic' class. Its ride, handling and performance generally are impressive but would be more so if the braking system was more progressive and conventional. "There are flaws – some of the detail finish of the facia is not up to standard and the provision of only an emergency spare wheel is a pity. "In general, however, the Merak's exotic good looks are matched by extremely good road manners and the sort of general performance that will suit the enthusiast and the status symbol seeker alike. With further attention to its few shortcomings, the Merak could well become one of the world's most desirable cars – at any price." Beauty from a bygone era! I share with Chris a strong preference for the class of 75 over the self-important offerings of today. These cars were, and remain, completely unnecessary purchases - their only purpose ever has been to make their owners (and viewers) smile and enjoy. Ferrari in particularly now operate under the laughable premise that what they do is serious and important to the world. Wow. 19mpg at a 120mph cruise puts many of today’s performance cars to shame! Imagine buying a new car today and the handbrake was illegal and the brake balance was off! They really did throw some of those 70's exotics together. Watching YouTube videos of (the quite annoying...) Doug MeMuro where he goes through these cars in detail makes you wonder what they were on when they built them. Some of the interior control decisions are borderline insane. They really did throw some of those 70's exotics together....Some of the interior control decisions are borderline insane. To be fair, dodgy build quality wasn't restricted to only exotics in the 1970s. As for ergonomics, things have indeed come a long way, but arguably they've now gone backwards and have been compromised for design and gimmicks. Totally agree on the eronomics in today's cars. Totally agree on the eronomics in today's cars. Having all controls on screen usually means you need to hit a button to bring up the screen for say, climate, before you make an adjustment. Muscle memory for things like heater controls is gone and you spend a lot of time with your eyes off the road. Then you want to change radio station. Another button and then another confusing interface. And if you're trying to follow sat-nav maps at the same time it's a wonder there aren't more crashes. 40 years later a Golf GTI family hatchback would beat it in just about every metric! I can't imagine the same strides will be made again, or will it!